A rain shower lets you experience the feeling of showering in the rain indoors and these are one of the most popular types. They evenly disperse water to your entire body at once than just one little section at a time. They come in all shapes, sizes and prices so it might be hard to narrow down your options. 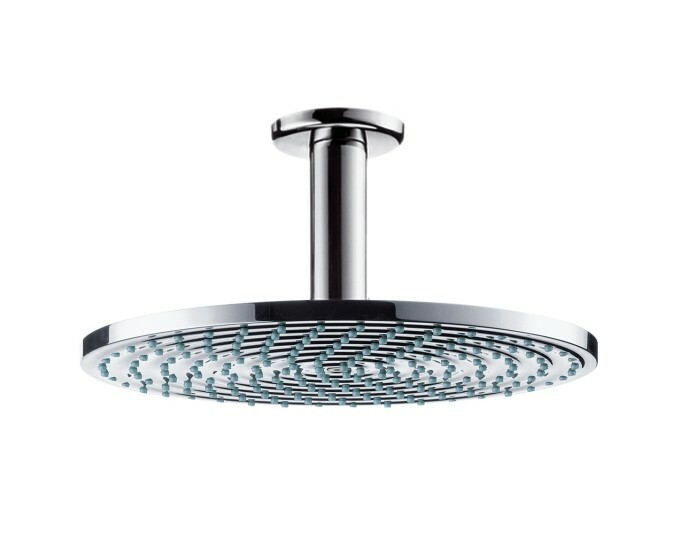 If you are looking to skip the research and start shopping, we recommend the Hansgrohe Raindance Downpour AIR to give you the best bang for your buck! This is by far one of the best rainshowers on the market. Customers rave about the AirPower technology that promises an invigorating experience for your entire body. For more information or to read about our other recommendations, head to our guide to finding the best rain shower system. 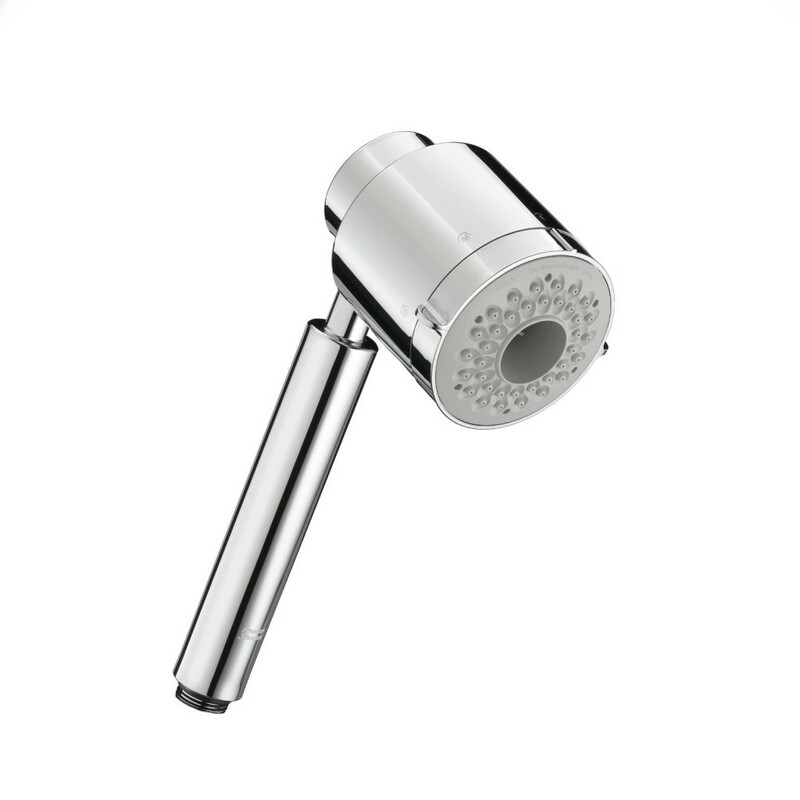 Handheld showers allow you to move around freely and reach those hard to get places. These are a great option for bathing children or pets, and seniors particularly favor this kind. 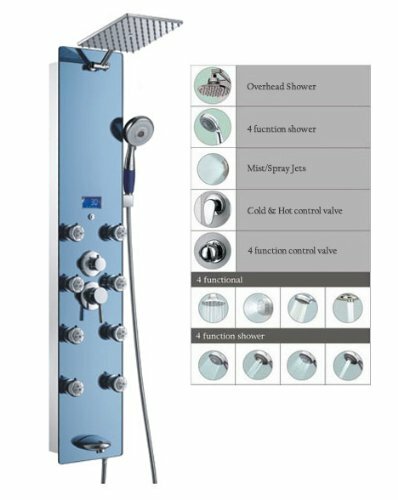 One of the most popular of this kind is the Delta In2ition 4-Setting Two-in-One Handheld, proving that relaxation can come in the form of a shower thanks to its H20kinetic design. With four spraying options, you are sure to find the perfect setting to make every bath a pleasurable one. Delta Faucets are renowned for their household faucets and fixtures. For more of our favorites, continue to our guide to finding the best handheld shower. These are for those eco-friendly consumers looking to not only save water, but save money. Technology and appliances are ever evolving as we continue to move toward a more eco friendly environment and with that comes the low flow high efficiency shower systems. While many fear that these water savers will ultimately lead to a zero water pressure bath, let us put your worries at ease. You don’t have to sacrifice quality in order to save water. 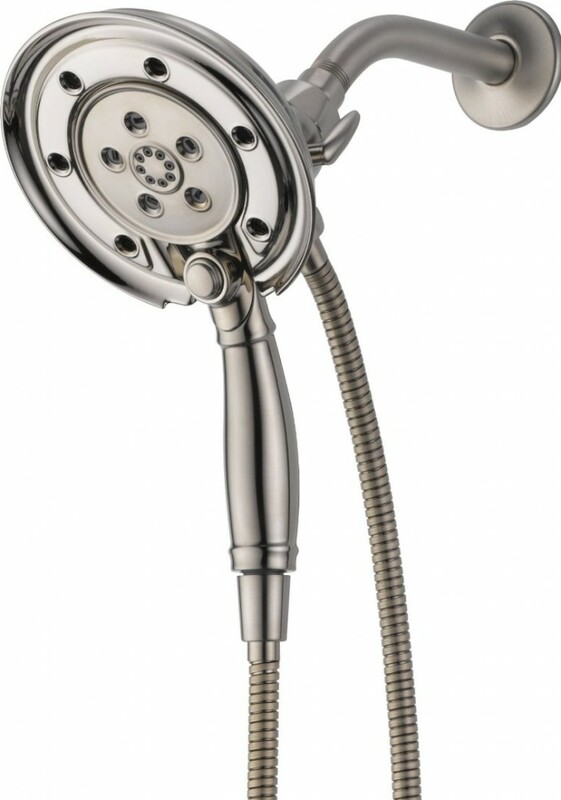 For example, the American Standard Flowise offers 3 unique spray settings to achieve the ultimate showering experience with its pressurized chamber that rapidly spins the water out. For more information and reviews on low flow units, head over to our guide on water saving shower units. This kind of system gives you more options while in the shower. There are a few different types you can go for. One option is the combo head system equipped with a fixed head and a handheld option. 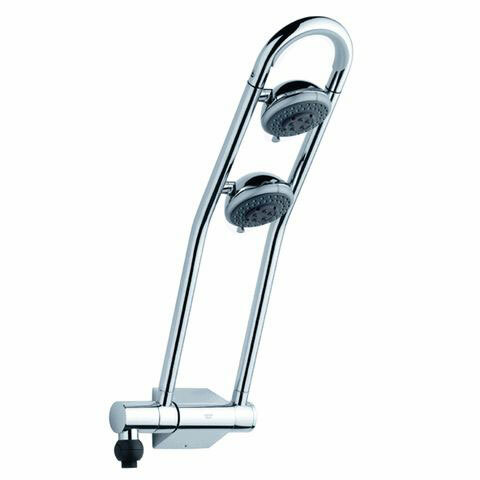 Another option is a fixed double head that allows you to adjust each head to a different spray patterns which is often preferred for couples that shower together. However, one of the top rated options is the exquisite GROHE Freehander. For more information or see the our list of favorites, head over to our guide. If you really want to revolutionize your bathroom like Bob Vila suggests, Bluetooth Speaker Heads are the latest and greatest option. This innovative new model is one that only few manufactures have ventured to try. This new design allows you to listen to music, and sometimes answer calls while you wash without the fear of water harming your device. These speakers are waterproof after all! The bluetooth enabled technology allows you to stream from your devices that are outside of your bathroom so you can sing in the shower all you want. Even better, the speakers can often be removed and used as a wireless waterproof bluetooth speaker on the go, anywhere in your home. 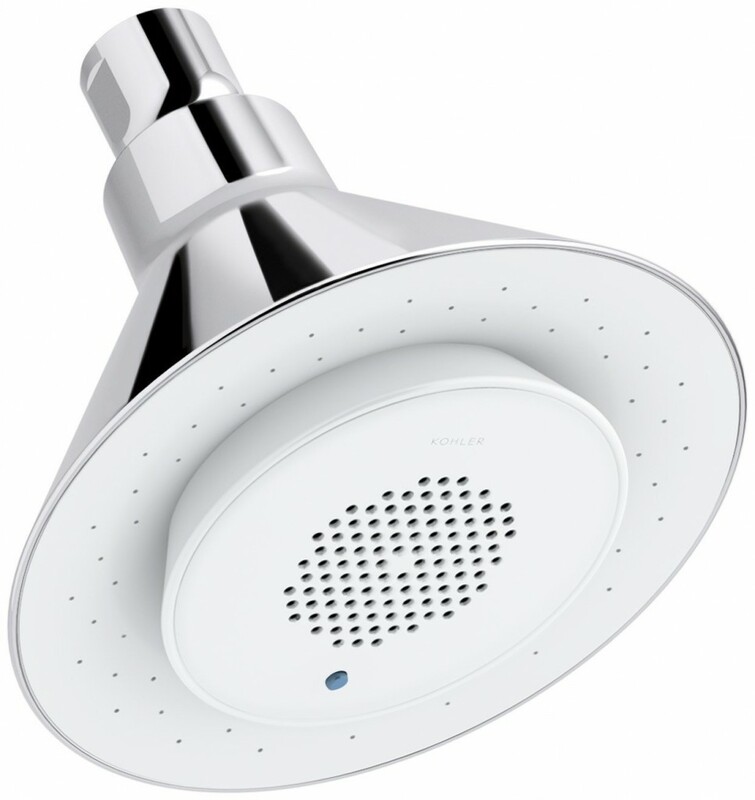 The best shower head in this category and our pick would definitely be the KOHLER Moxie, the best waterproof speaker on the market. Read more about it or check out our favorites on our Bluetooth Speakers Review Guide. These high flow shower heads are just the answer if you are looking how to increase water pressure in your home bathroom. Low water pressure can be a serious damper on a great experience. It makes it difficult to rinse the shampoo and conditioner from your hair and can leave your skin feeling slimy from the soap. It also takes more time to shower which ultimately causes you to waste water and therefore increasing the water bill. Fortunately, there is an answer to this looming problem. There are plenty of powerful shower options on the market today, but if you are looking for a unit for low water pressure, we recommend the Speakman S-2252 Anystream. 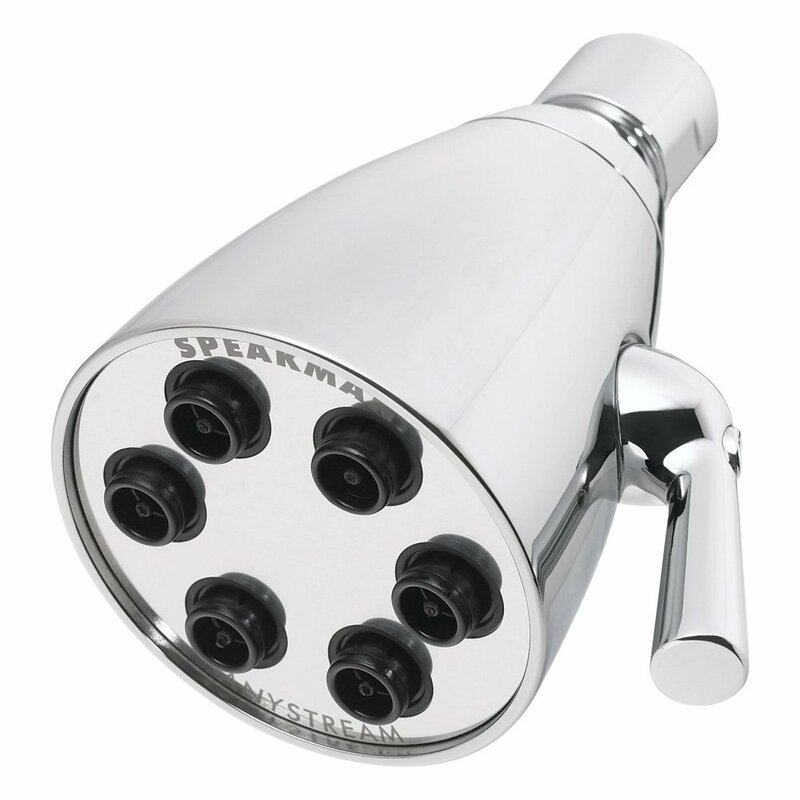 The Speakman provides 48 individual sprays that allows you to find the perfect pressure and achieve the ultimate showering experience. Additionally, it is available in 6 finishes to match your bathroom decor and fixtures. For more details or for our other recommendations, check out our guide for the Best High Flow options. Rainbow shower heads are all the rage for consumers of every age and gender. These color-changing systems are equipped with LED lights that allow you to light up your bathtub with colors of the rainbow, some changing colors sporadically while others change colors depending on the water temperature. This makes for not only a more fun shower, but a smarter shower too. Many moms find the temperature sensor convenient for bathing their children so they don’t risk the water being too warm (or too cold). Furthermore, this also comes in handy for seniors as well. There are plenty of LED options available and finding the right one depends on your needs and preferences. We highly recommend the VDOMUS, not only for the great quality and excellent ratings, but also for its unique modern design and the benefit of the temperature sensor. 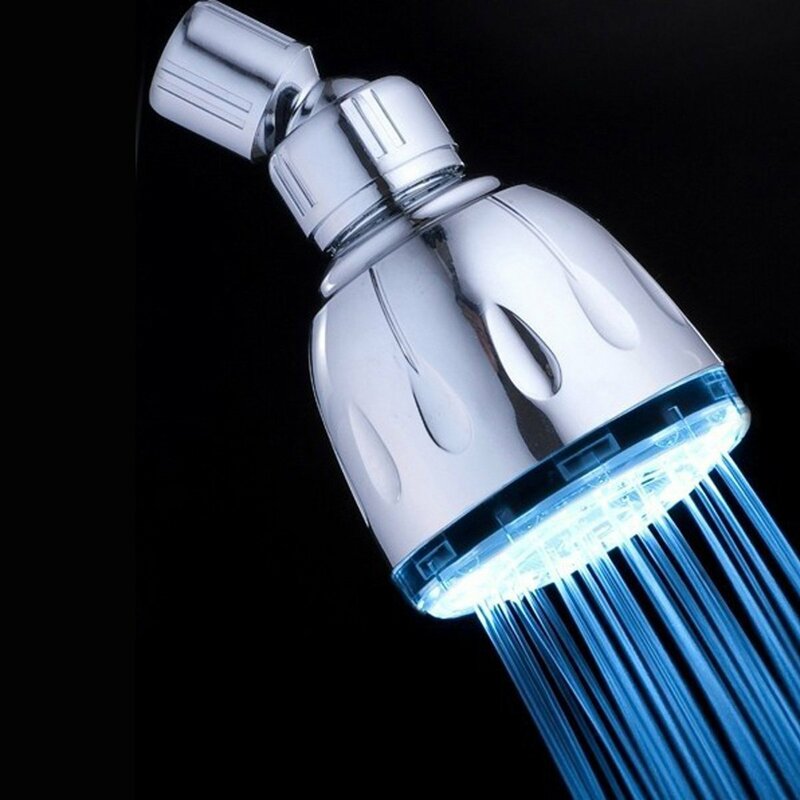 Head over to our guide for the Best LED Light Up Shower Units for the full review and our other recommendations! Many people use water filters for their kitchen sinks and drinking water, but often have never heard of filters for shower heads. In fact, hard water in the in your home can have plenty of negative and damaging effects leading to itchy, rashy skin and dry hair. By simply installing a filter, the high levels of chemicals and chlorine will be eliminated from your water leaving it clean and free from the harmful effects of hard water. A water softener can leave your skin feeling silky, smooth and return your hair condition to soft and healthy again. There are plenty of filter units available depending on what you are looking for and your budget. Our pick for the best shower filter is the WaterChef® Premium Filter System. It features a two stage filtration system that has ThermalGuard to provide excellent chlorine reduction and consumers rave about it. To read more about this filter and our other recommendations, head over to our Guide to the Best Shower Filter Reviews. Towel warmers may not improve your showering experience directly, however, they do make getting out of the bath a lot more enjoyable. There is nothing worse than taking a steaming hot, relaxing bath only to end it by stepping out into the cold, frigid bathroom air. Have a nice warm towel waiting for you to keep your body warm when you step out of the tub without breaking the bank. The Brookstone Towel Warmer is one I always recommend to friends and family. It is one of the most budget-friendly options available and its portable so you can move it around easily to a convenient spot. 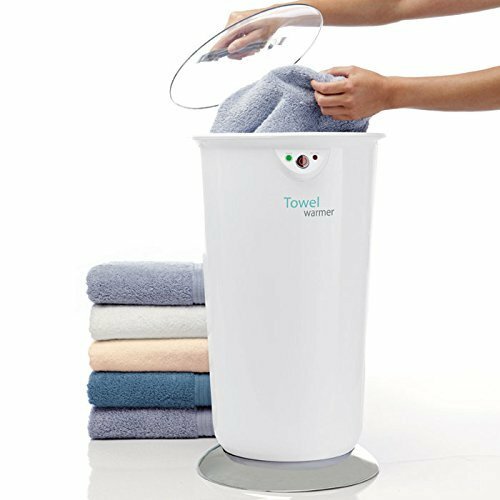 Not only does having a nice warm towel after a heavenly wash sound great, but it also can dry your damp towels when you are done to prevent the sour smell that results from a damp towel sitting too long. For more of our favorites, head over to see our list of heated towel warmers. Once you try one of these fog-free shaving mirrors, you will truly wonder how you ever lived without one. No more trying to shave in the bathtub without seeing your face, leading to cuts and painful razor burn. No more making a mess with shaving cream all over your bathroom sink. 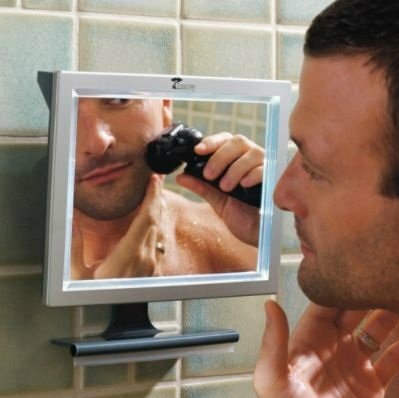 You can now shave with ease with these small, portable shaving mirrors designed to make your life a whole lot easier. The best part is that they are super affordable and can practically fit into anyone’s budget. Our favorite is the ToiletTree Products Deluxe LED Fogless Mirror. It scores a solid 4.1/5 rating with nearly 1,000 user reviews and guarantees to be fogless for life. For more reviews, see our guide to the best shaving mirrors. What’s better than an awesome shower head? The only answer to that question is an all-inclusive panel system. What was once just an item used to cover exposed pipes in your bathroom, is now considered quite a luxury. Shower panels have certainly come a long way over the years. They offer much more than your typical unit. Today, luxury panels provide an all-in-one option, including features such as rain-showers, massaging jets, handheld shower units, LED lights and sometimes even music. One of the more popular options is the Blue Ocean Stainless Steel Panel. This is certainly one of the more pricier options but considering what you are getting with it, it really is a great value. This highly rated item includes a stainless steel frame with blue tempered glass surface, a display for the temperature, 8 different jet nozzles, a rainfall system and multi-functioning handheld that all work independently of each other with a master control. It currently holds a strong 4.4/5.0 rating on Amazon with nearly 200 reviews. For more details or to see our list of favorites, head over to our guide now. Are you replacing your entire bathtub or walk-in shower in your future? You would surely regret not giving a look to these luxury steam enclosures. These enclosures have specialized doors that seal the steam from leaking out, providing you with a sauna-like experience in your own home. It offers the same options as a typical shower so that you can enjoy all of the benefits of a steam shower while you bathe. There are many benefits to be had from a steam shower, including improved circulation, stress relief, enhanced skin care and more. The Ariel Bath Platinum Steam Shower and Sauna comes highly recommended. It includes a rainfall system above, 6 body massage jets, a handheld unit, a 6kw steam generator, as well as an aromatherapy system and FM radio. I can’t imagine what more you would want out of your bath time! Steam Units are also quite affordable when it comes to remodeling. 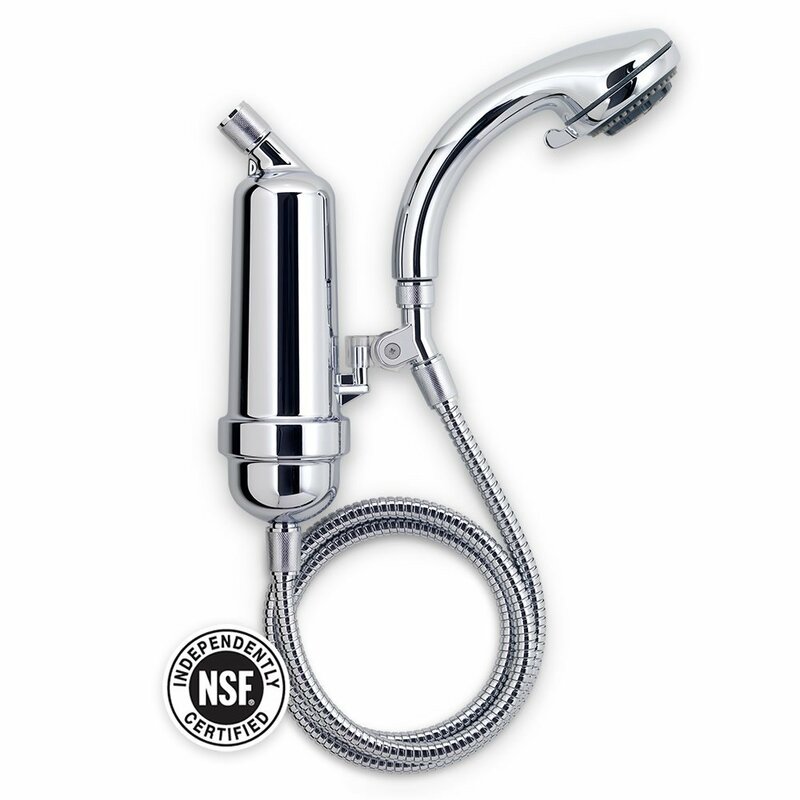 To see more prices and reviews, check out our guide on the best steam showers. Some may not consider this a luxury item, however, it sure does maximize the space in your bathroom and keeps the clutter at bay. How is your bathroom supposed to be your little relaxing oasis when you have all kinds of clutter strung about the room? 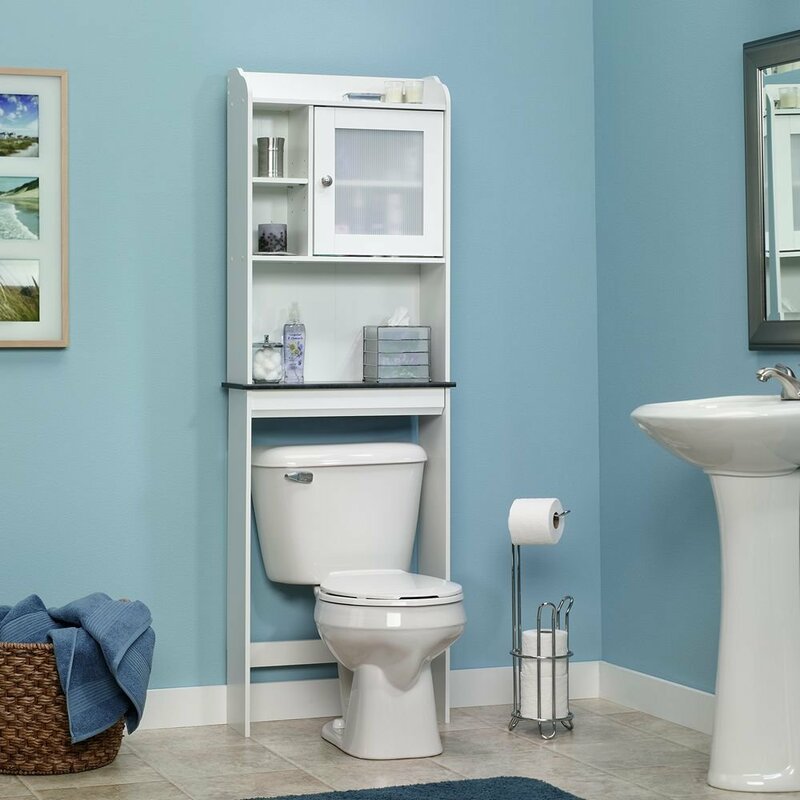 Keep your room tidy with any of the creative and modern storage options available for over your toilet. Depending on what you are looking for, you can opt for a simple shelf, a mirrored medicine cabinet, or even a full-on cabinet that fits nicely around your toilet not taking up any more space. Actually they are all quite affordable. Our favorite is the Sauder Caraway Etagere Bath Cabinet that comes in a soft, white finish. It includes a closed-cabinet and two adjustable shelves to place your products and decor.